Try a daring new look, ladies! Everyone loves a mustache, but why do boys get to have all the fun? 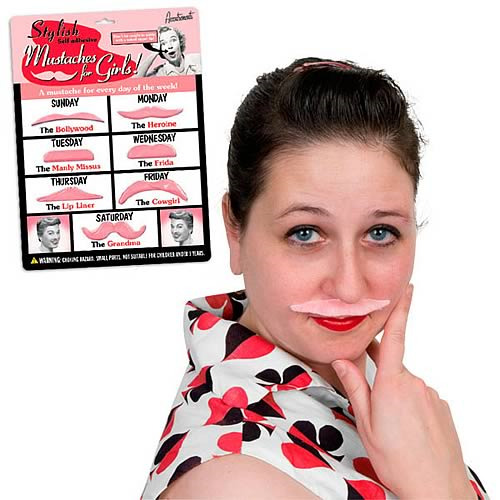 This set of seven stylish mustaches is made specifically to accentuate feminine features. Each furry lip ornament has adhesive backing and is made of synthetic hair in a girlish shade of pink. Goes great with almost any outfit! Illustrated blistercard. Order yours today!